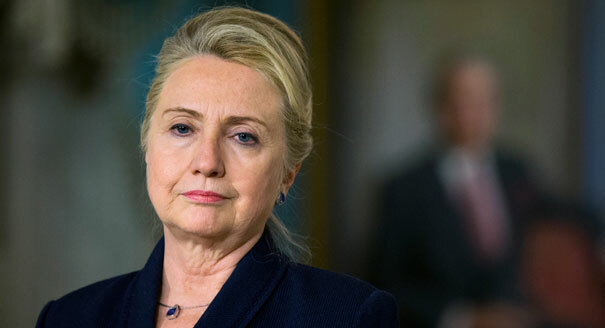 I will freely admit that despite all that has happened to her, Hillary Clinton remains in an enviable position relative to many of her rivals. I will also freely admit that the Clintons are remarkably good at surviving scandals that would destroy lesser politicians, so no matter how bad the news gets for them, their doom cannot necessarily be presumed. The period since the last survey coincides with news that the FBI is looking into the security of e-mail sent over a private server Clinton used when she was secretary of state, as well as an intense media focus on her response to the controversy. The episode has raised questions about her judgment and revived memories of the scandals that plagued the presidency of her husband, Bill Clinton, in the 1990s. As a result, Clinton’s once-commanding national lead over Sen. Bernie Sanders (I-Vt.), who is running to her left, and Vice President Biden, who is considering joining the race, has been cut by two-thirds. Both men are now polling in the low 20s against her. To say that all of this is very bad news for Hillary Clinton is, of course, to understate matters. If her campaign hierarchy is not yet panicked, that must be because they are not paying attention. Each of these events was freighted with political meaning. For some, the turn on Colbert, with Biden expressing his enduring anguish about the loss of his son Beau and his heartfelt doubts about his ability to rise emotionally to the rigors of a campaign, was the most telling, signaling what many in the political establishment have believed for weeks: that for all of Biden’s dalliances with a bid, he would in the end find himself unable to get to yes. And that may still prove true. But fewer than 12 hours after the Colbert interview aired, Biden partook in a meeting that signaled something entirely different. The meeting appeared nowhere on his public schedule. It was held in secret at his hotel in Midtown Manhattan and lasted for more than 90 minutes: a private, one-on-one session with one of the most prominent and powerful fundraising stars in the Democratic firmament—a mega-bundler who happens to be, at least for now, publicly committed to Hillary Clinton. Wolf is by nature a straight shooter. But both the timing of the meeting and its furtiveness strongly suggest there is more here than meets the eye. Though Biden and Wolf have crossed paths at the White House over the past seven years, Wolf admitted that until last Friday, they had never had a sustained or personal conversation. Now, suddenly, he found himself swapping stories with the vice president about the closeness to their sons (like Biden, Wolf is a father of two). Just as it would take a stratospheric degree of political naivete to believe that, at this moment, Biden summoned Wolf to his hotel to discuss infrastructure—unless the infrastructure in question was that of the nascent Biden 2016 effort—it would require a willful blindness not to see the get-together for what it plainly was: the beginning of a courtship, and potentially one of considerable political consequence. If Hillary Clinton loses the Democratic presidential nomination, or the 2016 general election–assuming that she crawls her way towards her party’s nomination–the Clintons won’t have anyone to blame but themselves. To be sure, they will try to blame everyone else under the sun for their problems, but as usual, any objective analysis of the Clintons’ political troubles entails placing the blame for those troubles squarely at the feet of the Clintons.